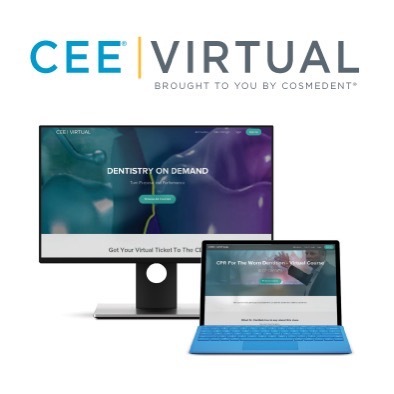 Cosmedent’s new CEE|Virtual provides dentists online access to video recordings of some of the Center for Esthetic Excellence’s most popular courses. Experience viewing actual courses filmed live and viewed on-demand from the comfort of your home or office. Learn from some of the world’s top clinicians how to build your skills with composite, plus receive CE credits. These comprehensive courses are packed full of useful information that you can use immediately in your practice. Visit www.CEEVirtual.com to begin your virtual composite education. To visit an updated page for available courses follow this link.